Wee Gems Designs: It's Sticking! Yesterday morning, those are the happy sounds I awoke too. 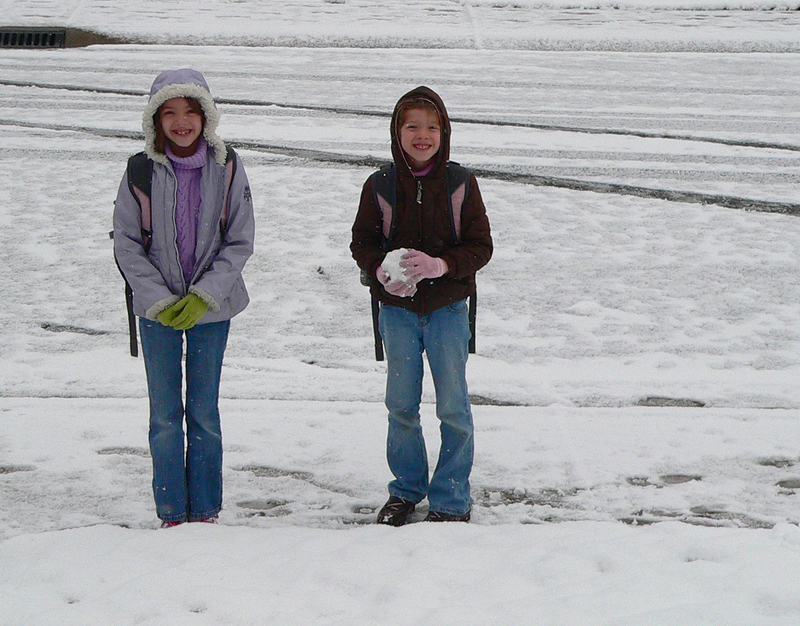 The girls were overjoyed that it was not only snowing, but sticking. :) I on the other hand wasn't thrilled. I had the last day of my show to do, and snow is not bead buying weather. Now that it is Monday however, I love the snow! I am thankful for the 2 hour delay that the kids had for school, we all needed to sleep in. 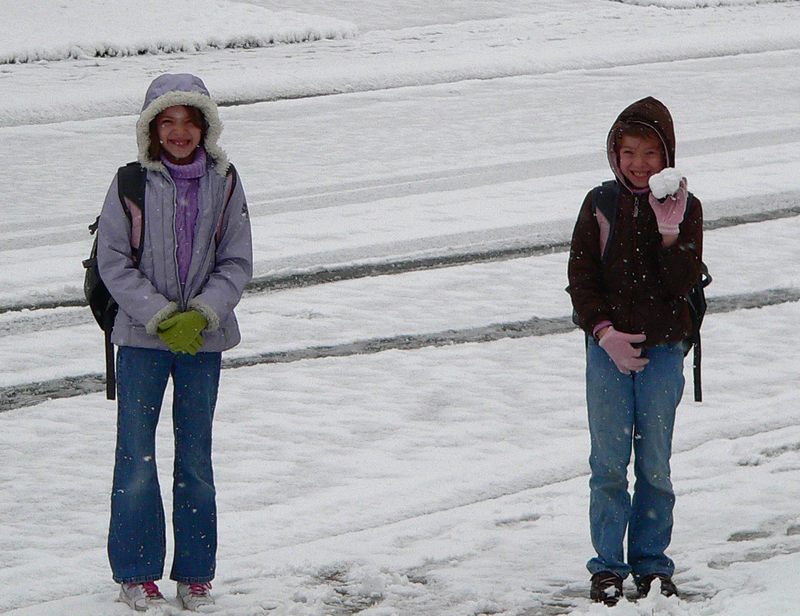 Here are the girls as they are walking down to the bus stop. Allison of course already had a snowball! We just went to the beach and it was gorgeous!